You are here: Home / News / Mentorships / International Director’s Mentorship- Call for Applications! International Director’s Mentorship- Call for Applications! Directors & Editors Guild of NZ (DEGNZ) invites applications from experienced film directors with a feature film project in advanced development to apply for an International Director’s Mentorship with a successful, seasoned director from the international industry. The mentorship will allow for a visit by the mentor to New Zealand to spend up to two days working with the mentee on the submitted project, and 20 – 30 hours of mentoring time via Skype or phone across a six-month period. At a later mutually agreed date, the mentee will be encouraged to fly to wherever the mentor is working to meet and observe. The mentee will have a voice in selecting the mentor they would like. • A narrative feature film script and one page synopsis for the project you wish to apply with. • Up to three potential mentor names. • Up to 3 examples on DVD or online of past work (not showreel). If DVD, 3 copies required. A panel will be convened to interview shortlisted applicants. This initiative is not intended for projects in early development. 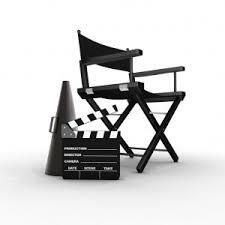 We will not offer script notes or enter into correspondence with applicants whose projects are not selected. Only DEGNZ members may apply. If you are not a member and wish to join, you can do so here. Applications must be received by DEGNZ no later than 5PM Monday 10 November 2014. This mentorship is available thanks to the generous support of the New Zealand Film Commission. https://www.degnz.co.nz/wp-content/uploads/2014/10/images.jpg 225 225 Lucy https://www.degnz.co.nz/wp-content/uploads/2018/02/degnz_logo_home.png Lucy2014-10-08 11:49:362014-10-08 11:49:36International Director's Mentorship- Call for Applications!